The Diavel is Ducati’s coup de gras, something the company has never done before. It’s a courageous and audacious move that has split motorcyclists in two: those who absolutely love it, and those who find it absurd. 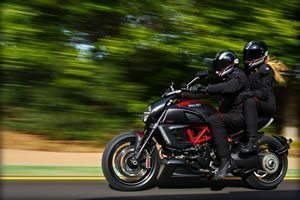 Not a custom, not a supersport, and not a cruiser, the Diavel is much more than just a muscle bike. 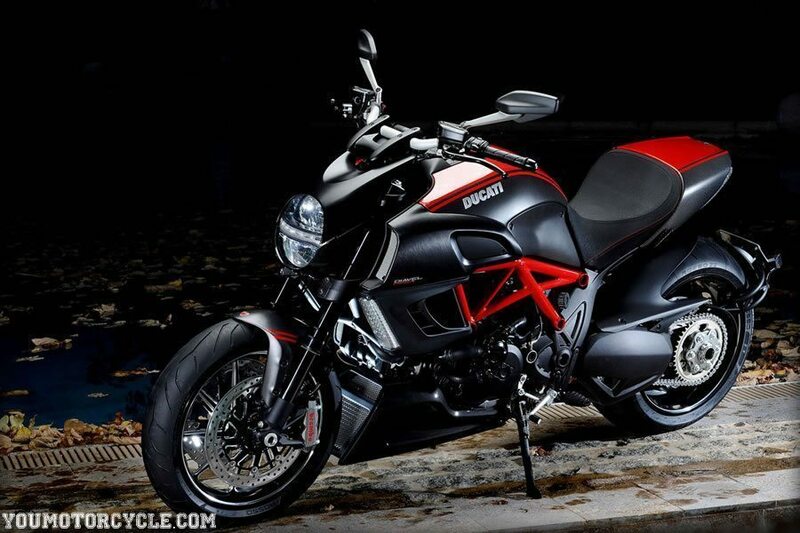 So what is it the Diavel? The devil inside the Diavel is a 1,198cc 90 degree V-Twin with an output of 162 horsepower and 94 lbs/ft. of torque. Power is on par with the 1198, and Ducati claims the Diavel is capable of going 0 to 60 mph (0 to 96 km/hr) in 2.6 seconds. The Beast originated from a creative meeting by a dream team of Ducati designers and engineers. The brain trust came up with something brand new which took riders, media, and even the faithful Ducatisti by storm. The Diavel comes loaded with ABS and programmable traction control so you can ride it your way. 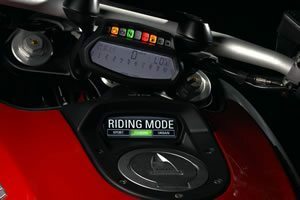 Speaking of selection, Ducati’s Diavel also features three selectable drive modes: City, Touring and Sport. The devil is in the details and the list isn’t short. Some personal favourites are the Diavel’s 50 mm rear tire, dual upturned exhausts, entire adjustable suspension, Superbike brakes, and a light 210 kg dry weight. All of this was more than enough to create a motorcycle that looked good on paper, in picture, and in real life… and then I sat on it. 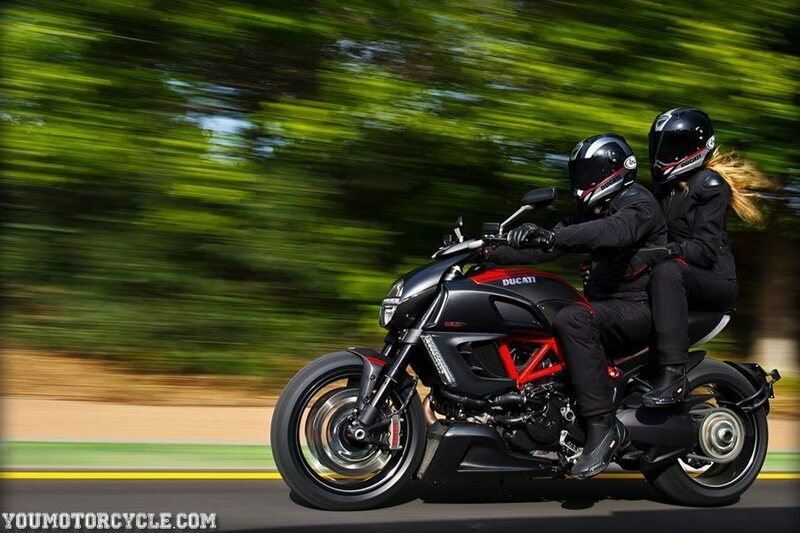 The Diavel didn’t feel like a cruiser or a Superbike. Beneath all the show and muscle is a standard bike that delivers comfort as well as performance. Everything seemed tailor-fitted for my 5’10” lanky frame. When I saw one in person for the first time I became impressed with the machine. It was only when I learned that this muscle bike delivered comfort as it did performance that the Ducati earned my respect as a great motorcycle. Not that I speak on behalf of the real Ducatisti. Did you know? The Ducati Diavel also comes in a Carbon model, with lots of carbon goodies and other nice upgrades such as Marchesini rims. 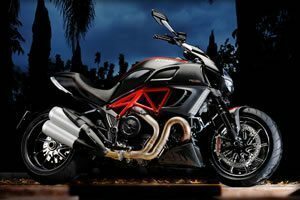 A price tag that reflects its quality but nonetheless puts the Diavel on the high end of its class. The V-Max has been bumped up to 1,700cc. Is a 240mm rear tire really necessary? Ducati dared to take a risk and dared to dream up something different. They pushed the boundaries of what rides had come to know and come to expect. 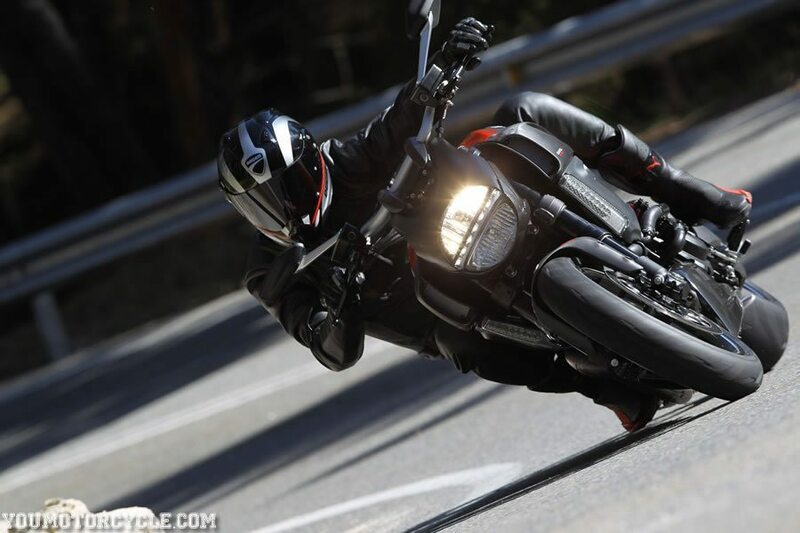 The Diavel is something new, unique, and promotes innovation in motorcycling. The Italians have shown they are still a force in design and engineering. The Diavel was a door opener for Ducati throughout 2011 and set the tone for the 2012 launch of the Panigale. If you like sport bike and cruiser hybrids, customs, or muscle bikes, be sure to also check out the new Akrapovic Morsus.